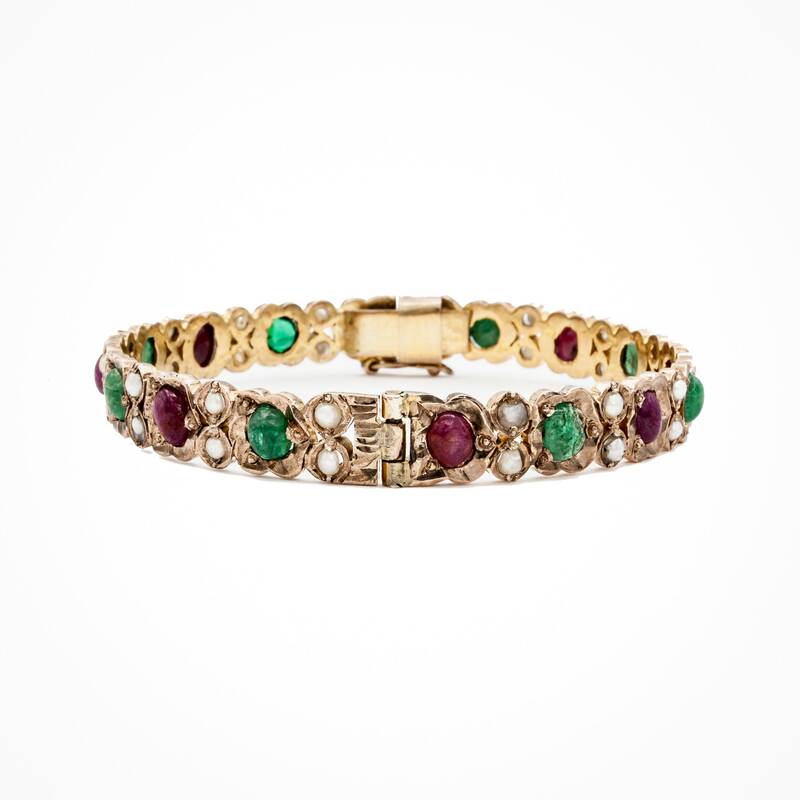 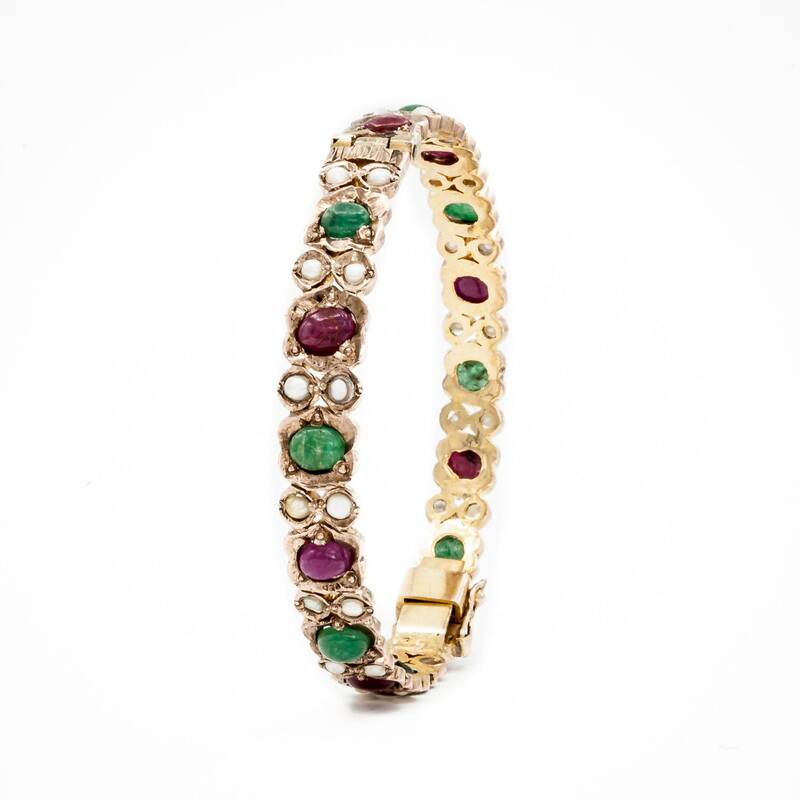 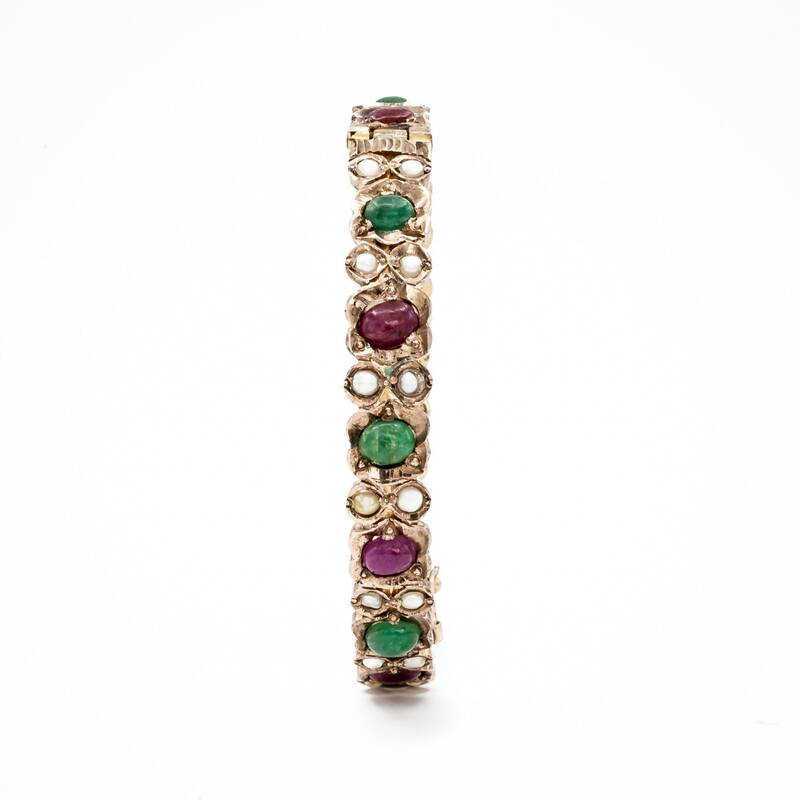 This unique handmade bracelet was produced at the end of the 19th century and set with 32 pearls, 8 cabochon rubies, and 8 cabochon emeralds, all measuring approximately 6mm. 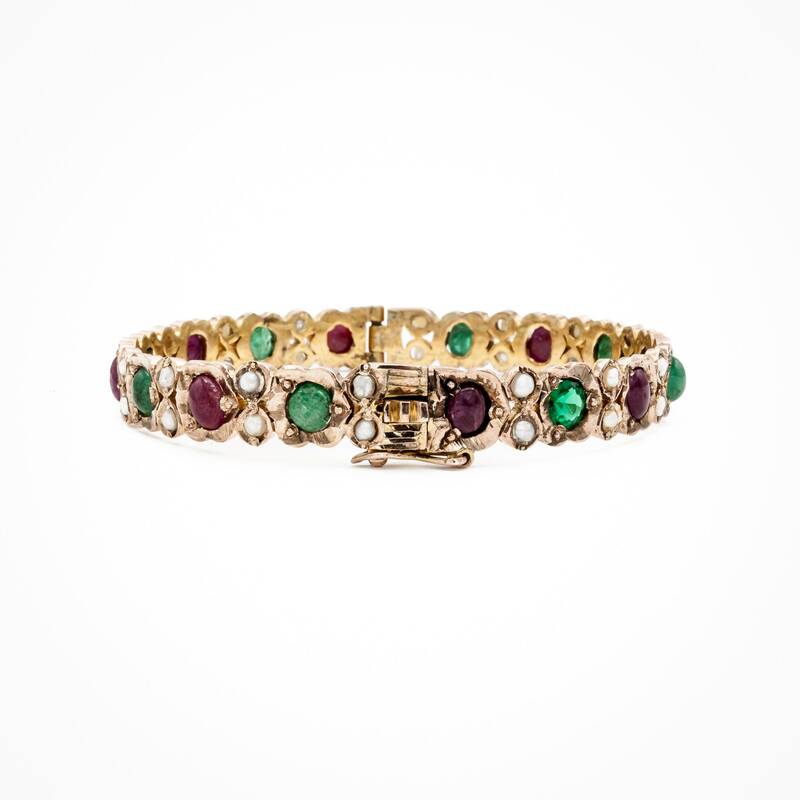 The piece is reminiscent of highly stylized, European Rococo design. 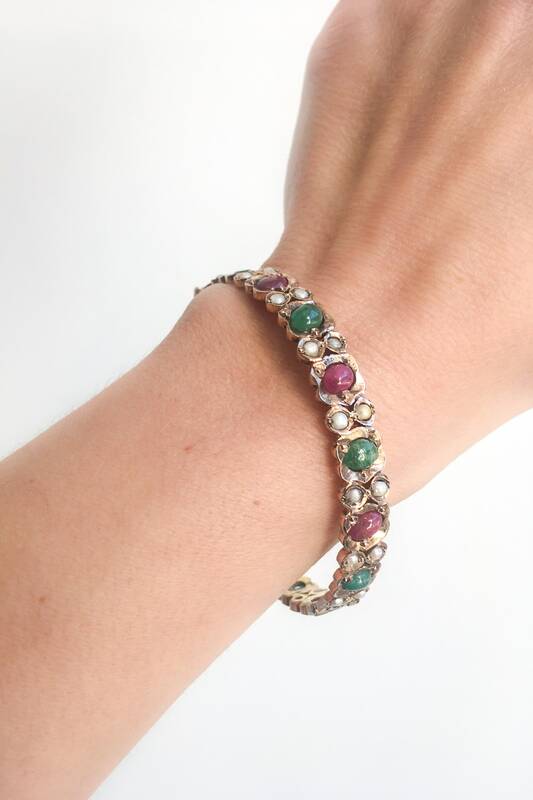 Perfect for anyone with an interest in Russian culture as red and green are the Russian national colors. 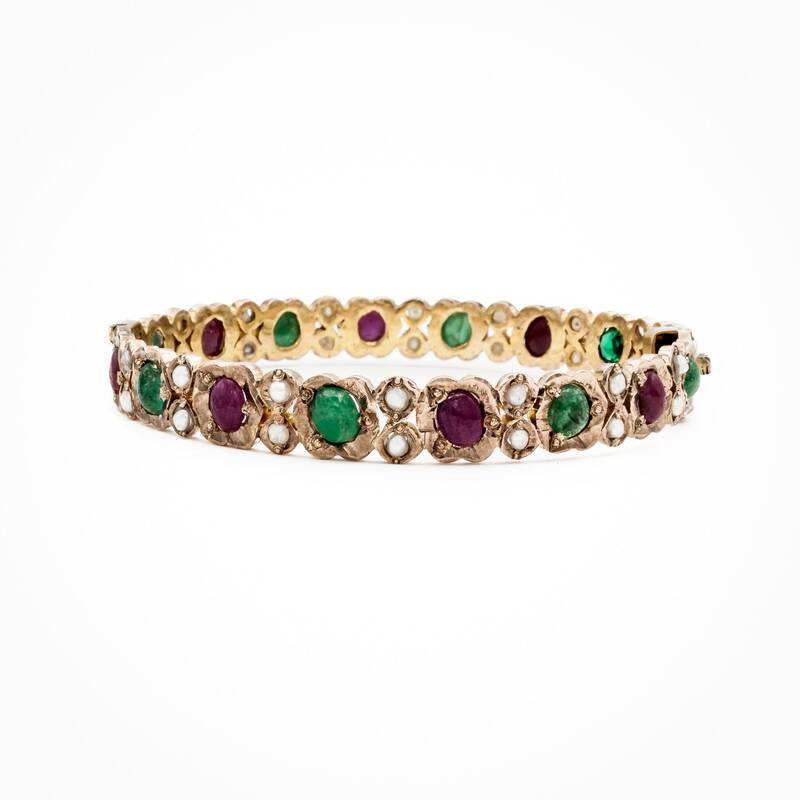 We recently purchased this bracelet from a sophisticated collector who said she "wore it daily in her youth, and made it Christmas everyday!" 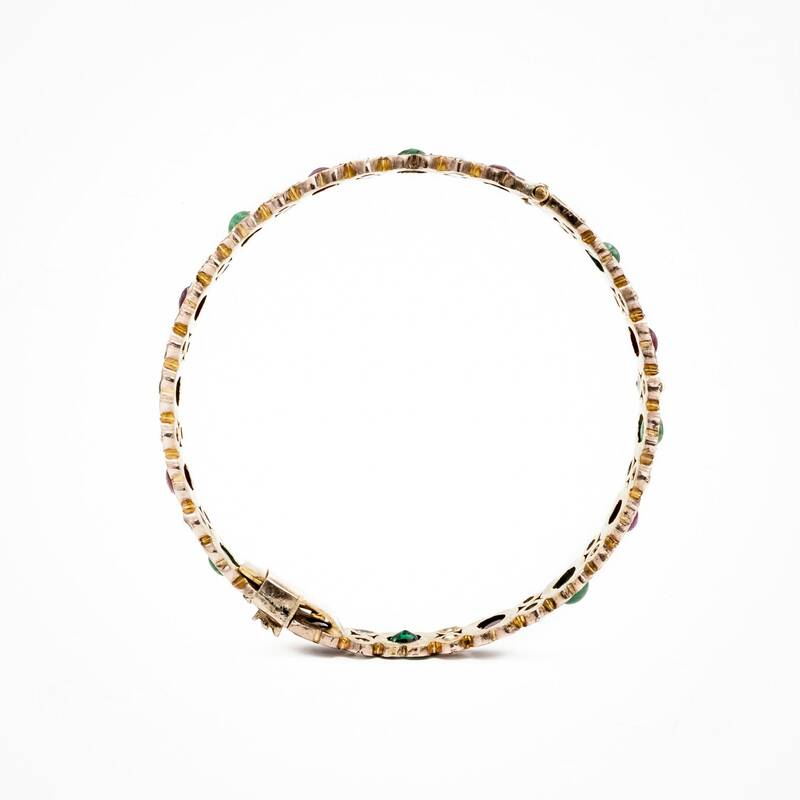 The bracelet could be worn daily as it has an excellent lock and a handmade omega catch, which appears to be added in the 1950's.